Sometimes you can judge a book by its cover. In this case, the writings A.W. 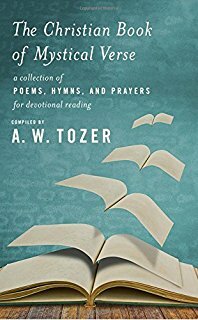 Tozer collected between the covers of this book is exactly what the title says—The Christian Book Of Mystical Verse: A collection of poems, hymns, and prayers. A.W. Tozer was a first-class scholar, but he didn’t stop with mere head knowledge. He loved plunging deep into the spiritual realms to let God touch his heart, mind and emotions. So we find among his extensive library, collections of poems and mystical writings to enliven the heart and mind. The word ‘mystic’ as it occurs in the title of this book refers to that personal spiritual experience common to the saints of Bible times and well known to multitudes of persons in the post-biblical era. I refer to the evangelical mystic who has been brought by the gospel into intimate fellowship with the Godhead. 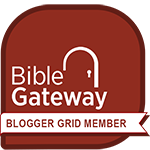 His theology is no less and no more than is taught in the Christian Scriptures. … He differs from the ordinary orthodox Christian only because he experiences his faith down in the depths of his sentient being while the other does not. He exists in a world of spiritual reality. I have a natural bent to be more left-brained, logical, and fact-seeking. Years ago I discovered that poetry and other “mystical” writings unlocked my right-brain hemisphere with all its emotion and passion, and made the left-brained stuff so much more real. The collection of writings in this book “scratches an itch” unlike any academic book ever can. Should you read The Christian Book Of Mystical Verse? I think so. Tozer said, “This is a book for the worshiper rather than for the student.” So if you are longing to worship God more deeply, this is a great book to dive into deeply. I am a Moody Publisher book reviewer.